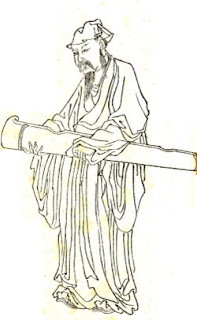 Tao Yunaming, also known as Tao Qian, lived in the 4th century during the East Jin period. His natural style helped define the ideal Chinese poem and though he lived a poor and simple life, he enjoyed it very much. His spirited, modest character was greatly admired by his contemporaries. Tao Yunaming's great-grandfather, Tao Kan, held an official position and also made great contributions to the culture of East Jin. Tao Yunaming's father was an official as well, but died when his son was only eight years old. Soon afterward the family went through hard times. As a teenager, Tao Yuanming hoped to achieve success as an official, but there was much turbulence, corruption and conflict in East Jin at this time. Tao Yuanming retreated soon after getting his first official position at the age of 29. He would occasionally return to public life, but would always withdraw afterward. Tao Yunaming became poorer as time went on. Eventually, he could not even feed his family. So, at the age of 41, he was forced return to work as an official. He condemned materialism and rank and 80 days later, resigned again and became a recluse. At the age of 44, Tao Yuanmng's house was destroyed by fire. Out of this experience, he wrote "No food for summer; no quilt for winter". Though he was poor, he was happy and content. He began to compose many other poems that idealized country life and the themes became an important part of poetry and an escape from reality. In his golden years, Tao Yuanming was so poor that he had to beg and borrow to feed himself, despite offers to return to the court. He finished his famous "Prose of Peach-Blossom-Source and Preface" in his late years. In it, he created a utopian society and told the story of a fisherman who accidentally ended up in Xanadu. The fisherman found that the villagers there were the offspring of some hermits who settled in Xanadu to escape war. The fisherman learned that the villagers had never left their land and knew nothing about the outside world. The tale about naive but peaceful villagers was very popular among readers who had to live in turbulent times. Although he only wrote a few dozen works, TaoYuanming has great status in Chinese literary history. While many writers of the period tried to use flowery language in poems, Tau Yuanming began the tradition of the idyll. These poems followed a traditional Chinese simplicity, but also had much exuberance. The language was plain, fresh and smooth. The poems were the highest achievement of simplicity. 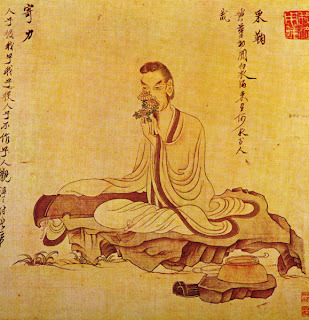 "The popular image of Tao Yuanming derives from two of his poems, "Returning Home" (Jp: Kikyorai 帰去来), written on his trip from Pengze, and "Drinking Wine: (Jp: Inshushi 飲酒詩). In both works Tao describes his detachment from society and his fondness for yellow chrysanthemums." "He so loved chrysanthemums that even now, fifteen hundred years after his death, it is almost impossible for a Chinese to see a chrysanthemum without summoning his name." Flowers and leaves all moistened with the dew. And so drive all my earthly cares away. The wine is poured when the cup is empty. While the homing birds flock to the woods there is chirping. Satisfied now that my humble life can go on. With dew in my clothes I pluck their flowers. To leave far behind my thoughts of the world. When the cup is empty, the pot pours for itself. Homing birds, they hurry to the woods singing. I've found again the meaning of life. "Chrysanthemums are able to stop declining years." It appears that Fusen felt an affinity with Enmei. "'There is no poet I treasure more than Tao Yuan-ming; he alone pleases me. He wrote few poems; they are plain yet beautiful; rich and yet not ornamented. Tu Fu, Li Po, and all the others are inferior to him...'"
"Chu Hsu, the great philosopher, said that his poems were so plain, peaceful, and unaffected that they seemed to have been composed by nature herself." 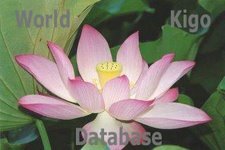 He is primarily thought of as a Confucian, but also has elements of Taoism and Buddhism as well. There are Ch'an (J: Zen) anecdotes about him, and he appears as a character in anecdotal paintings. "Tao Yuan-ming was one of Buson's favorite poets." poem, 'Returning Home! ', which begins: 'I will go home. My fields and garden are lying in waste.'" "The...　hokku alludes to the words of T'ao Ch'ien's poem 'Returning to My Home in the Country': 'A dog barks in the deep lanes. A rooster crows atop the mulberry tree.' The image of a peaceful, idyllic place remote from earthly worries is enhanced by being set in the China of many centuries earlier." The other haiku is the opening hokku of the kasen "Mustard Flowers." and reach all the corners of the spacious sky.'"
. hana ni kurenu waga sumu kyo ni kaeri nan (kaerinan) .
. sankei no jippo ni tsukite tade no hana . Pine and chrysanthemum are unscathed. Written in summer of 1693 元禄6年夏. Basho is maybe thinking of the Chinese poet Tao Yuanming 陶淵明 Too Enmei (365 - 427), who led a poor but poetically rich life. In the hot humid summer of Japan, it was very important to find a cool place to sleep in summer. © More in the Japanese WIKIPEDIA !